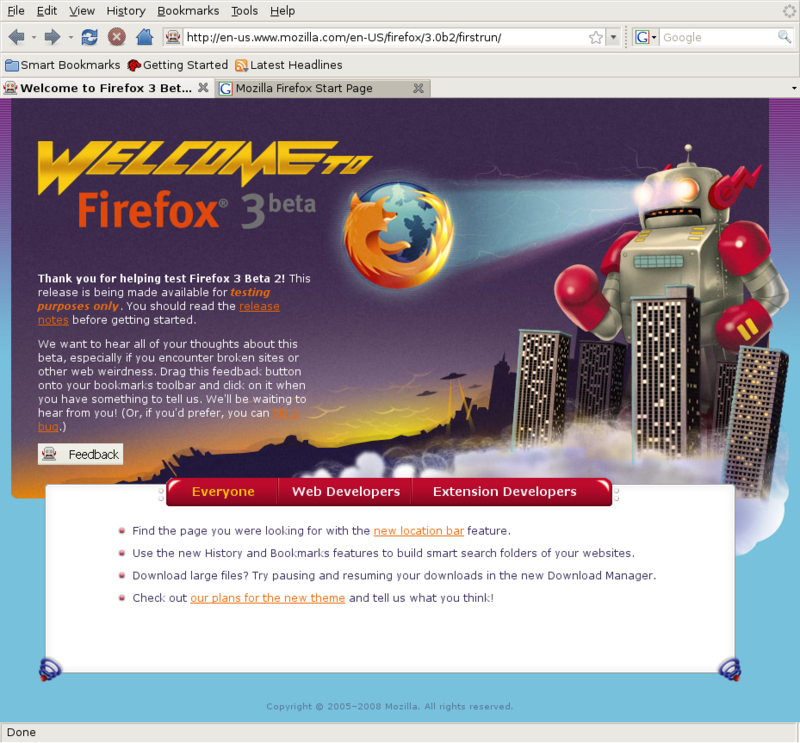 The first task is to create a user for our test version of Firefox. Click on the System (Gnome Menu) -> Administration -> Users and Groups. Type in ‘fftest’ for the user name and choose a password. Then, click OK.
Fire up a terminal, su into your new user and go to your home directory by typing the following commands. Type in this command to tell Firefox not to use an existing session. You should now see the Firefox start page. This Firefox session is completely independent from your current version, you can run them side-by-side. Repeat steps 7-10 to run Firefox 3.0b2 in the future. When you are done testing, just delete the user ‘fftest’. If you find any issues or problems with this tutorial, please contact me or post a comment. I always want to ensure that I’m posting accurate instructions. This entry was posted on Wednesday, January 2nd, 2008 at 12:04 pm	and is filed under Internet, Linux. You can follow any responses to this entry through the RSS 2.0 feed. You can leave a response, or trackback from your own site. nevermind… I had the ff user in the wrong group. Thanks man! Perfectly works for use with Jenkins & Selenium Grid (xhost +local:jenkins).